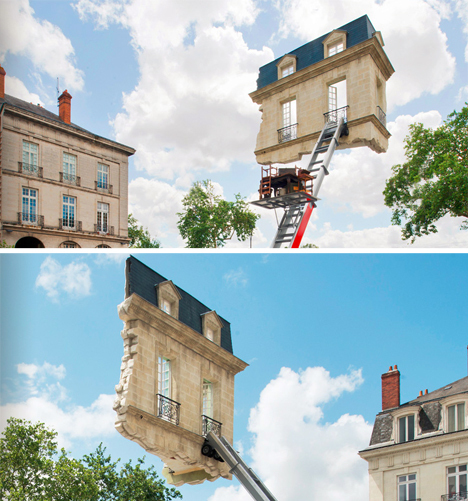 A fantastic feat of architectural trickery, this anti-gravity ante-room installation appears to hover in thin air and open up into nothingness. 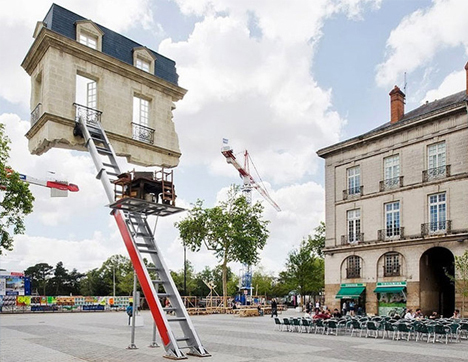 It sports a single point of contact with the ground below – a ladder propped against it, ostensibly placed to access the amazing space. 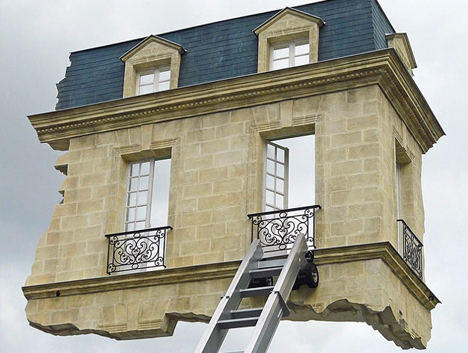 The piece was designed by Leandro Erlich (some images by Martin Argyroglo) of Argentina for an annual art festival in France, but the artist is known elsewhere as well for his vertigo-inducing work. 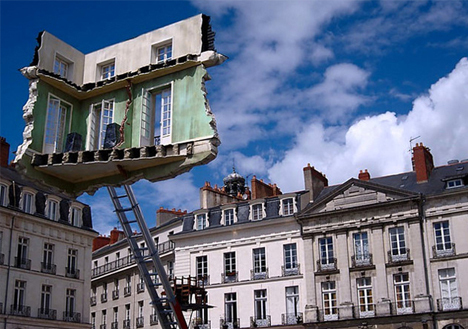 The ladder is the secret behind supporting this tenuous chunk of building, being much stronger than it first appears. 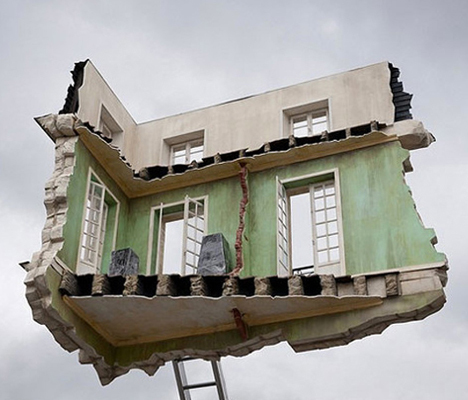 A set of furniture stacked on it appears to be waiting to be taken to the top. 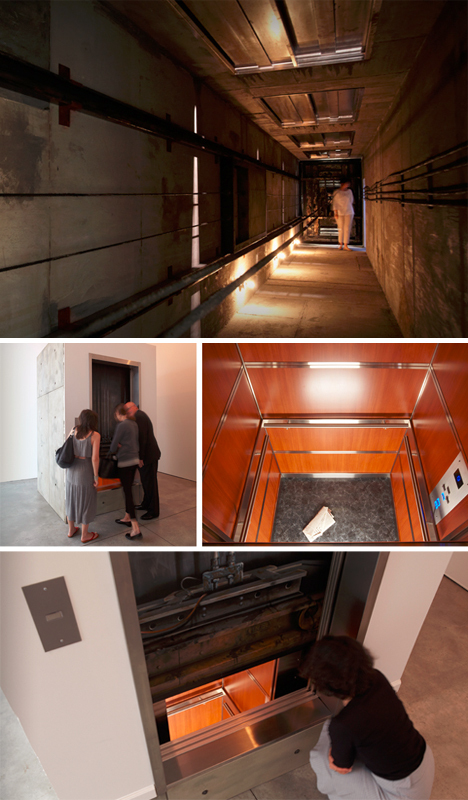 The Shaft was set in the Sean Kelly Gallery of New York and took visitors through a sideways version of an elevator void. Stuck Elevator at the same gallery gives one a peek at one of those jarring experiences one hopes to avoid for live. 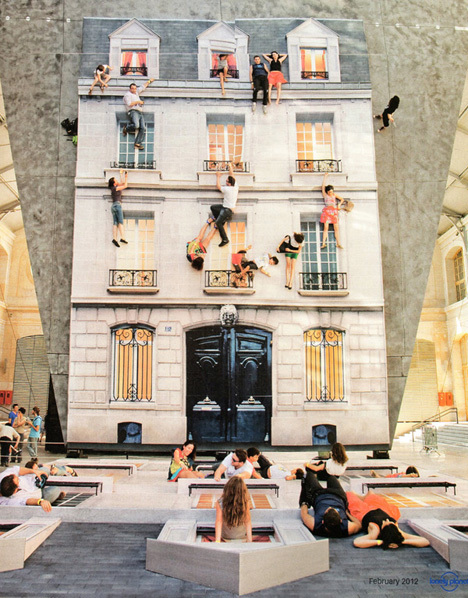 Using mirrors, Erlich has also turned entire buildings on their side and made them into interactive urban playgrounds, as covered here previously and seen above.